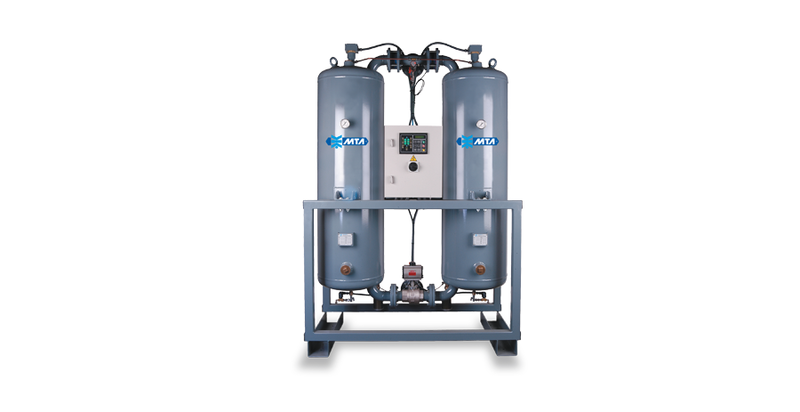 The heat regenerated adsorption air dryers in the DryXtreme – NST range treat large volumes of compressed air as the air flow of treated air necessary for regeneration is minimal. The NC dryers are made up from two painted carbon steel vessels, both filled with absorbent material (activated alumina). 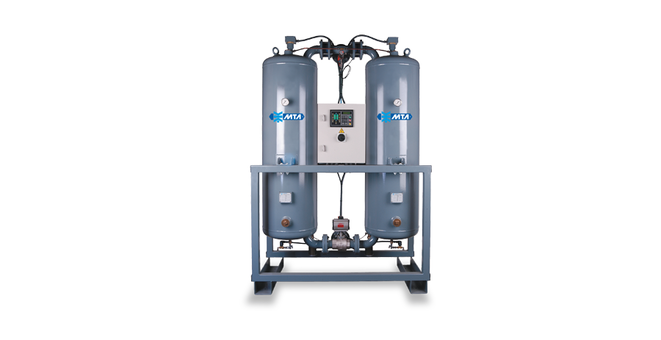 The compressed air is dried alternately by the 2 towers, which are regenerated through combination of the heat emitted by a heater inside each vessel and a minimum flow rate of dry air.